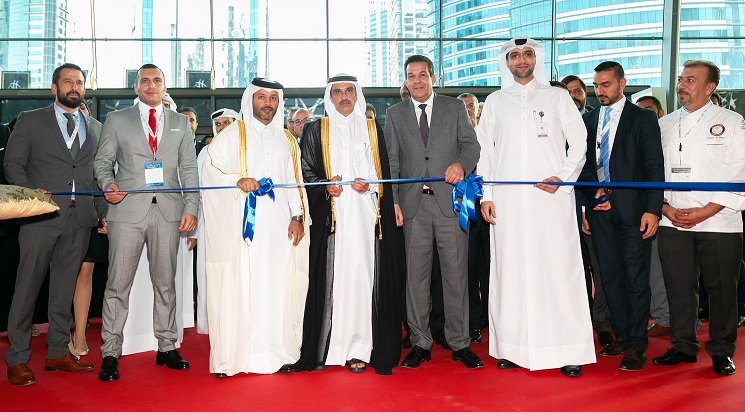 His Excellency Sheikh Nawaf bin Jassim bin Jabor Al-Thani, Chairman of the Board of Directors of Katara Hospitality inaugurated yesterday ‘Hospitality Qatar 2018’; the largest commercial exhibition of the hospitality sector amid a high official and diplomatic presence, headed by H.E Said Djellab, Minister of Trade of Algeria. In conjunction with Hospitality Qatar 2018, Mr. Ahmed Al Obaidli, Director of Exhibitions at National Tourism Council, inaugurated the first ‘Future of Tourism in Qatar’ conference organized for the first time in conjunction with the exhibition, in partnership between the National Tourism Council and IFP Qatar. The ‘Future of Tourism in Qatar’ conference is the first of its kind to deal with topics such as the role of innovation and new technologies in developing the tourism sector in Qatar, enhancing the customer experience and launching new initiatives in the culinary sector. It highlights the opportunities and challenges facing the Qatari tourism sector, presents new strategies, technologies and innovations to keep abreast of developments, focus on industry best practices, as well as explore ways to maximize the development of the sector. The conference features six panel sessions, eight presentations and a series of speeches, bringing together experts and entrepreneurs to discuss Qatar’s preparations for World Cup 2022. The Hospitality Qatar 2018 exhibition, which is running at the Doha Exhibition and Convention Center (DECC) till November 8th, provides the ideal platform for local and international companies to network and collaborate on strategic projects. It also offers industry professionals, investors and visitors from around the world, the opportunity to explore Qatar’s booming hospitality market and establish their presence in the country. Qatar is fast tracking tourism projects with a view to increasing visitors to the country, particularly in view of the FIFA World Cup to be held in the country in 2022. This year, as many as 188 exhibitors from 20 countries are taking part in the event, which reflects the tremendous scope and potential of Qatar’s hospitality industry, especially in view of the series of major international hotel and tourism projects being implemented across the country. The hospitality show includes events such as the Salon Culinaire, a tribute to culinary excellence, comprising contests and special shows for local, regional and international chefs, a live cooking competition where participants compete to prepare the best dish, as well as the Mocktail Competition, sponsored by RedBull, which will host Tom and Kiko bringing back the flair show. The competition will give professional drink tasters to showcase their skills at mixing different flavors, to create a delicious concoction. Another highlight of the event is the Barista Competition, sponsored by Lavazza which will give experts the chance to display their coffee making skills. 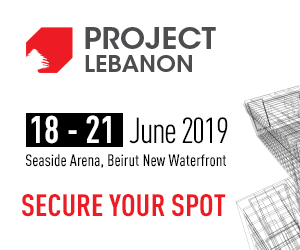 In addition to these competitions, the exhibition also includes informative sessions about the latest trends in the hotels, restaurants and cafes (HORECA) sectors, as well as the latest investments and projects in these areas.